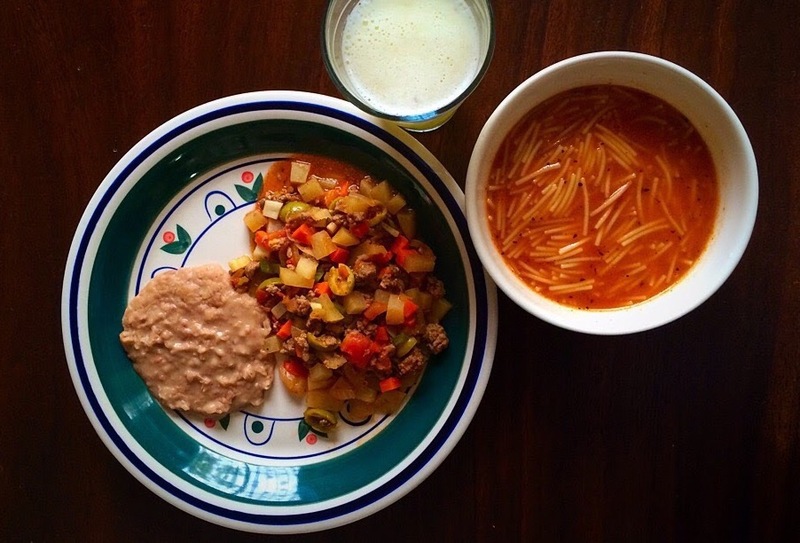 Picadillo is a dish where all the ingredients are very finely chopped. This type of recipe is very popular not only in Mexico but all around Latin america and Spain. It can be made with mince beef, pork, chicken or sometimes seafood, but the meat always has to be minced. In my family my mum’s picadillo is the best, she uses some of the traditional ingredients for a picadillo, like carrots, potatoes and olives, but she adds some celery and tomato purée to hers. It is a very versatile recipe as it can be eaten with some refried beans (like in the picture) or as a filling for empanadas, chiles rellenos, chiles en nogada, tacos or burritos. When my mum cooks her picadillo, we always eat it accompany by refried beans and sopa de fideos (vermicelli pasta soup) with warm corn tortillas and nice ripe avocado slices. Try this recipe over the weekend and believe me, you will soon see yourself wanting some more! Heat the oil in a large casserole dish on medium heat and add the mince beef and stir continuously to avoid the meat sticks together into lumps, add salt and pepper. Once the meat is almost cooked, add the garlic, onion, tomato and green pepper and cook for around 15 min, stirring continuously. Then add the passata and cook for 10 min more. Next add the carrots, potatoes, celery and olives and simmer for 15 min. Check if it needs more salt. The picadillo will be ready when the potatoes and carrots are cooked. As I mentioned in my recent post quesadillas with Cuitlacoche this Mexican ingredient is consider a delicacy in Mexico and I had found out that this fungus that grows in maize is very common not only in Mexico, but in other countries like France and China, but we, Mexicans, are the only people that eat it. So, I had some Cuitlacoche left and I wanted to cook something very special with it, but I didn’t know what, therefore I decided to do some research in the very handy Internet and I found this amazing recipe from Yuri Gortari, that I believe it does Cuitlacoche justice and also sounds very posh, fancy, interesting and, have I mentioned it is utterly delicious as well? 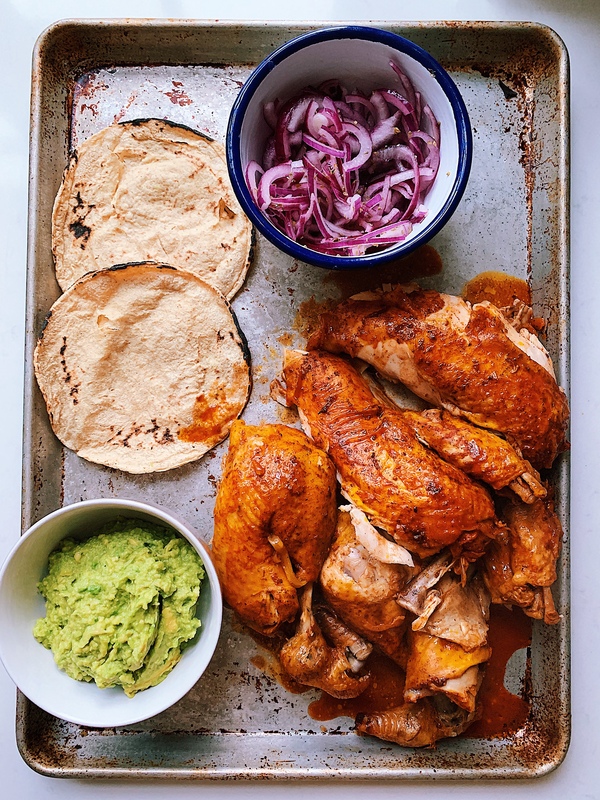 If you have never tried “Mole” before, well, this is your chance, and the good thing, it is very easy to make that YOU can make it yourself and impress your mates or girlfriends with a fancy Mexican dinner on your next gathering. But, you might be asking yourself! What a heck is Mole??? Well, when somebody in England ask me what Mole is, I always tell them that it is like curry, the Indian dish, because it has the consistency of a sauce, but what it makes mole different from curry are its ingredients. The word Mole comes from the Nahuatl (the language from the Aztecs) Mōlli, which in Spanish means sauce. 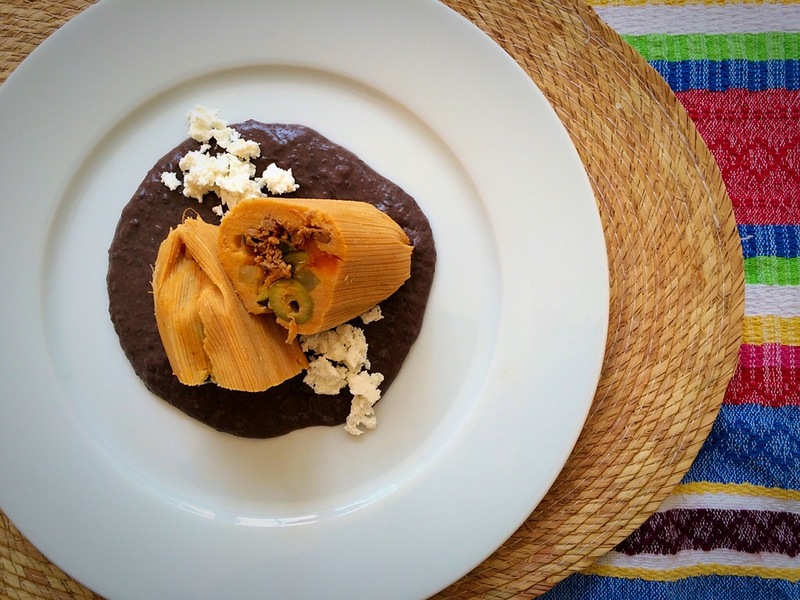 In Mexico, there are different types of Mole made, each one made with different ingredients, but the most popular is Mole Poblano, this type of Mole, created in Puebla, is made with lots of ingredients and is very well known internationally. But this recipe is very simple with very little ingredients. So, come on! Give this recipe a shot and see what you think! Put the pasilla chillies to cook with 250 ml boiled water for 10 min. Then put them in a blender with just half the water where they were boiled, the raw onion and garlic and blend, pass the sauce through a sieve to eliminate any skin from the chilli. Put the oil to heat at low heat in a saucepan, add the chillie sauce and start cooking it. In a bowl put the maseca and add some hot water and stir until you get a runny consistency with no lumps and add it to the chillie sauce to thicken it, then blend the Cuitlacoche with the chicken cube or salt and add it to the chillie sauce, add the epazote and cook for 15 min at low heat and stirring from time to time. Before turning the heat off, check if it is well seasoned. Have it with grilled chicken breasts and Mexican style rice. *A lot of people know it as “Huitlacoche” but both words are correct to use.